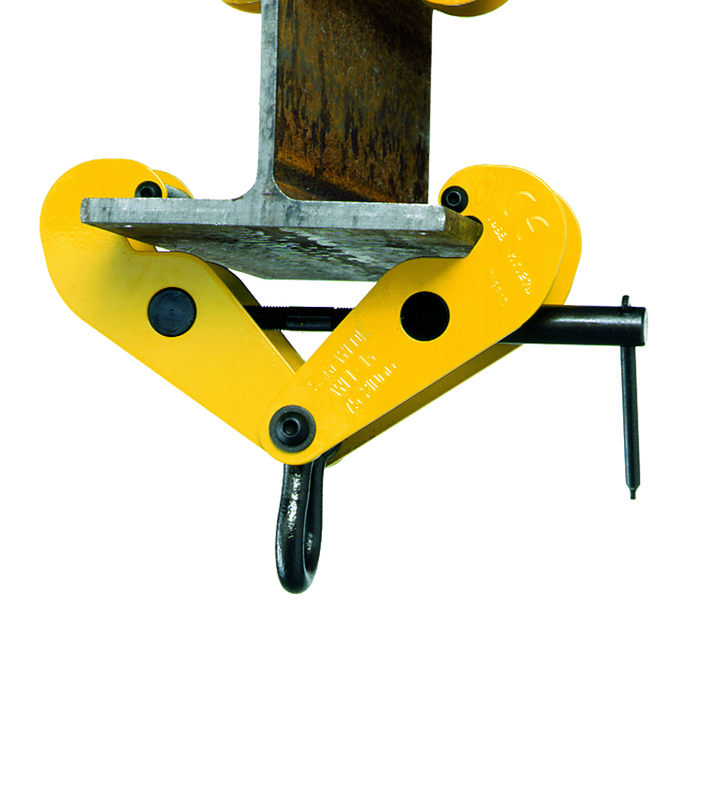 The SC92 beam clamp provides a quick and versatile rigging point for hoisting equipment, pulley blocks or loads. The unit offers flexible applications, due to the wide adjustment range. The shackle suspension allows easy attachment of lifting machines. The clamp offers a safe and secure grip to the beam flange. NB. THIS MODEL MUST NOT BE USED FOR LIFTING BEAMS. IT IS A SUSPENSION POINT.